I'm feeling oh so preppy in this attire. I'm going to be completely honest, and it's probably going to shock you. 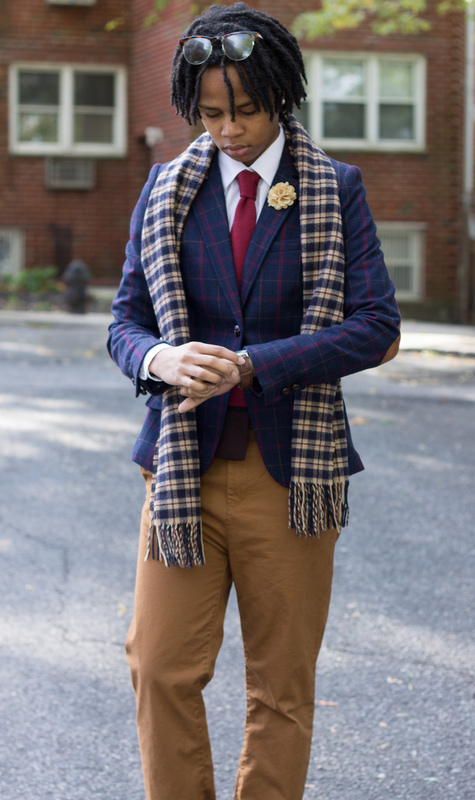 I put this outfit together around a single accessory - the tie. I love it so much, and the best part is I bought it for less than $4. Don't miss out on this incredible deal, just click on the link above and it'll take you straight there. This #ootd is about inspiration. What inspires you? I'm inspired by people's stories. I'm inspired by everyday life. I'm inspired by things. I'm inspired by you. I'm wearing khaki chino pants as my base. Layered on top are a plain white shirt and my window pane blazer which has some red and golden lines. 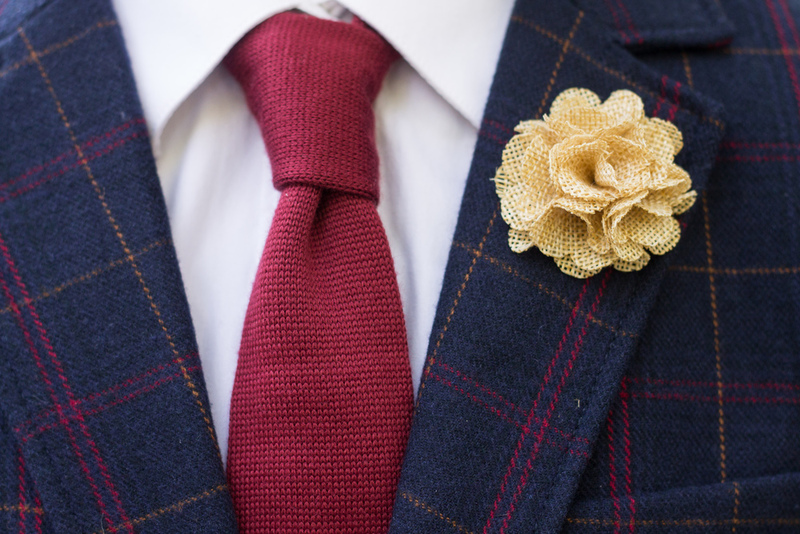 It blends perfectly with the accents of the look - a wheat lapel flower, striped socks, and the tie. 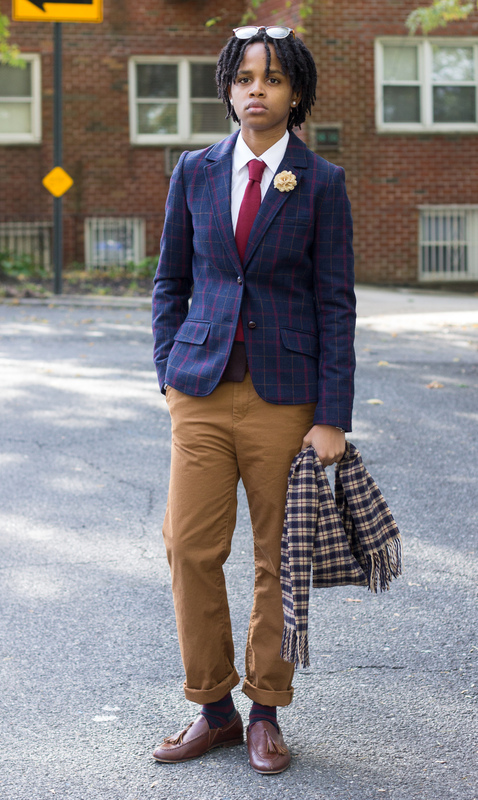 I love how the tie starts off in wine and moves on to brown with a subtle black in between. Lastly, I added this awesome scarf for a more sophisticated look. This story is that of how you inspire me to write my stories. ©2019 Just Ariam | ALL RIGHTS RESERVE.